Emily Butler is a curator, writer and translator. Currently Mahera and Mohammad Abu Ghazaleh Curator at the Whitechapel Gallery she has worked on survey exhibitions such as Electronic Superhighway, 2016, on exhibitions drawn from the collections, on commissions by artists such as Rachel Whiteread, 2012 and Kader Attia, 2013-4, and major solo presentations by John Stezaker, Wilhelm Sasnal, 2011 and Hannah Höch, 2014. Previously, she worked in the Visual Arts Department at the British Council on international touring exhibitions including Tracey Emin at the British Pavilion, Venice Biennale, 2007; Jeremy Deller and Alan Kane’s Folk Archive, Palais de Tokyo, Paris, 2009 and Flicker, Damascus, 2009. She also edits and contributes to exhibition catalogues and art publications. Independent projects include Reel Portraits screening at the ICA, London, 2013 and Language Slips, Open Source visual arts festival, London, 2015. Rudy Capildeo is a Senior Solicitor at Goodman Derrick LLP. He specialises in advising artists, art galleries, private collectors and not-for-profit organisations on a range of subject matter from intellectual property and art theft, contracts of sale and cross-border transport through to art-leveraged finance, misattribution and the organisation of international exhibitions. Rudy is a trustee of the William Morris Gallery, a member of the Institute of Art & Law and the Professional Advisors to the International Art Market (PAIAM). Michael Craig-Martin was born in Dublin, Ireland in 1941. He grew up and was educated in the United States, studying Fine Art at the Yale School of Art and Architecture. He has lived and worked in Britain since 1966. Over the past forty-two years he has had numerous exhibitions and installations in galleries and museums across the world, including the Centre Pompidou, Paris, and MoMA, New York, the Kunstverein in Dusseldorf, Stuttgart, and Hannover, at IVAM in Valencia, and Kunsthaus Bregenz. He represented Britain in the 23rd Sao Paulo Biennal. A retrospective of his work was presented at the Whitechapel Art Gallery, London, in 1989, and a second at the Irish Museum of Modern Art in Dublin in 2006, and a third at the Serpentine gallery, London, in 2015. Recent solo exhibitions include Less is still more at Krefeld Museum Haus Esters, Sculpture at Chatsworth House in association with Gagosian Gallery, Objects of our time at Alan Cristea Gallery,NOW, a touring exhibition of 50 paintings in China, and Transience at the Serpentine Gallery. Ann Gallagher has been co-Director of Tate's Collection since 2006. She leads the team of curators responsible for building and researching Tate’s Collection of British Art, and specialises in modern and contemporary British art, as well as Latin American art from 1950. She was the curator of the exhibitions Hélio Oiticica: The Body of Colour at Tate Modern in 2007, Susan Hiller at Tate Britain in 2011 and Damien Hirst at Tate Modern in 2012. Before joining Tate in 2005 she was Senior Curator in the Visual Arts department of the British Council, where she acquired work for the collection and curated many exhibitions, including the 1997 (Rachel Whiteread) and 2001 (Mark Wallinger) Venice Biennale exhibitions at the British Pavilion, and numerous exhibitions in Latin America. She is currently preparing exhibitions on Rachel Whiteread and Bridget Riley. She has written and lectured widely in her specialist area. Recent publications include Sarah Lucas Situation, Whitechapel Gallery London; Tacita Dean: Film in Connecting_Unfolding, MCA Seoul and ‘Speculative Spaces’ in Jose Damasceno, Ridinghouse, London 2014. James joined Newlyn Art Gallery as Director in July 2006 and oversaw its capital expansion and the opening of The Exchange, a new public contemporary art gallery in Penzance, in July 2007. Prior to this he was responsible for exhibitions and learning programmes at The Harris Museum & Art Gallery, Preston, often commissioning artist interventions into the museum’s archives and collection. He went on to establish a curatorial partnership with the University of Central Lancashire, entitled In Certain Places that sought to create opportunities for artists at the heart of the city’s regeneration. James is Vice Chair of Visual Arts South West, a member of the Steering Group of Plus Tate and a Trustee of the Borlase Smart John Wells Trust, responsible for artists’ studio prevision in West Cornwall. Natasha Howes is Senior Curator at Manchester Art Gallery where she manages a team of curators who programme exhibitions and work with the renowned collections. She has curated numerous solo exhibitions including Joana Vasconcelos, Michael Craig-Martin, Tom Hunter and Xie Nanxing and group exhibitions including The First Cut: Paper at the Cutting Edge and We Face Forward: West African Art Today. In 2013 she was seconded to Manchester International Festival, working closely with Hans Ulrich Obrist to produce do it which involved 160 artists, a live web stream with The Space and a programme of performance, choreography and artists’ talks. In 2014 she was selected for The Clore Leadership short course. Natasha is involved in purchasing contemporary art for the collection including recent acquisitions by Susan Hiller, Mike Nelson, Pascale Marthine Tayou and Joana Vasconcelos. Previously she worked at Ikon Gallery, Birmingham and The Barber Institute of Fine Arts, Birmingham. As Director of Research and Collections, Dr. Valerie Johnson is responsible for supporting and coordinating innovative research, conservation and cataloguing programmes that use our collections and enhance access. Alongside our leadership role for the archive sector, Valerie is also responsible for The National Archives’ active support for archives of all kinds, to secure the best possible long-term future for their collections and services. She aims to further The National Archives’ engagement and collaboration with researchers across the cultural heritage, higher education, academic and archive sectors. Prior to this role, Valerie was Head of Research at The National Archives. She worked on a funded history project based at the University of Cambridge History Faculty, and holds an MA with Distinction in Archive Administration. She was awarded the Alexander R Myers Memorial Prize for Archive Administration, and won the Coleman Prize for her PhD thesis, ‘British Multinationals, Culture and Empire in the Early Twentieth Century’. Valerie is a Registered Member of the Society of Archivists, a Trustee and member of the Executive Committee of the Business Archives Council, a Fellow of the Royal Historical Society; and a Fellow of the Society of Antiquaries. She has worked as an archivist and historian in the academic, corporate and public sectors. Keir McGuinness is a management consultant who for the past 14 years has specialised in working with galleries, artists and creative businesses. Formerly a company and commercial lawyer with 25 years’ experience of working with retail clients, Keir is also, among other things, a former Trustee and Chair of Whitechapel Gallery, a former Chair of the Patrons of New Art at Tate Britain and a Turner Prize juror. He is currently Chair of DACS Foundation and a Trustee of Chisenhale Gallery, of the Marie Louise von Motesiczky Charitable Trust and of the Felix Trust. He is the Chair of the Patrons of the Royal Academy Schools, a patron of the British Museum and Vice-Chair of the Public Monuments and Sculpture Association. Mary Moore is the daughter of the late sculptor Henry Moore. She founded the Henry Moore Foundation with her parents in 1977, the first artist foundation in England. She has worked on numerous Henry Moore publications, including his catalogue raisonée of drawings and is an active public speaker. In 2005-7 she worked with the Henry Moore Foundation to open Henry Moore’s home, Hoglands, and became curator of its permanent exhibition. She looks after the Henry Moore Family Estate, managing aesthetic, commercial and practical aspects and contributing regularly to international exhibitions. Mary has been a Board Director of DACS since 2014. She has supported the visual arts for many years as a patron of organisations including The Tate, Outset, Artangel, The New Museum, New York and The Hayward Gallery, among others. Richard Noble is Professor of Fine Art and Head of Art at Goldsmiths College, University of London. He is political philosopher by training who has migrated into the field of contemporary art. Much of his writing and teaching focuses on the relation between art and politics, and most recently around utopian theory and utopian strategies in contemporary art. He has been raising money to build an art gallery at Goldsmiths College, and organised a successful auction of works by Goldsmiths alumni at Christies last year. He has as a consequence become interested in artists’ legacies and their support for various educational and other social projects. John Leslie is Exhibition Project Manager at the National Portrait Gallery for the Van Dyck tour and an independent curator. From 2003-2009 he was Senior Curator at Compton Verney, curating the inaugural exhibition and installation by Peter Greenaway, 2004, Susan Hiller: The J-Street Project, 2005, Luc Tuymans: The Go-Between, 2005, The Starry Messenger: Visions of the Universe, with Brian Aldiss 2006, Franz Xaver Messerschmidt: Character Heads and Francis Bacon 2006, James Coleman and Alberto Giacometti 2008. As well as organising Only Make-Believe, with Marina Warner, 2005 and The American West (curated by Jimmie Durham), 2005. Prior to working at Compton Verney, he was curator at Ikon Gallery, Birmingham, where he curated Siah Armajani: Reading Rooms and Public Art projects, Mark Wallinger, Diller & Scofidio: Re-Viewing the Slow House and Mark Dion: The Natural History Museum and Other Fictions. Whilst Assistant Curator at The Museum of Modern Art, Oxford he worked on exhibitions by Sol LeWitt, Gary Hill and John Latham. He has held research posts at Manchester Metropolitan University and King’s College, London. He is currently developing an exhibition based around Walter Benjamin’s Arcades Project. Sarah Philp is Head of Programmes for the Art Fund, the national fundraising charity for art. Her role encompasses the development and management of grant-making schemes and partnerships, including a portfolio of new initiatives which have extended the Art Fund's support of museums beyond funding for acquisitions, to include grants for strategic collections development, curatorial research and training, and exhibition, touring and public engagement projects. She is also responsible for the work the Art Fund does placing gifts and bequests of works of art into museum collections, and for sector policy, advocacy and research. She is a Trustee of the Association of Art Historians, and a member of the Arts Advisory Committee for the Churches Conservation Trust. Dr. Simon Sheikh is a curator and theorist. He is Reader in Art and Programme Director of MFA Curating at Goldsmiths, University of London. He is a correspondent for Springerin, Vienna, and a columnist for e-flux Journal, New York. Dr. Kirstie Skinner established Outset Scotland, a new chapter in Outset’s international network of philanthropic organisations, in 2013. Outset works in innovative ways with individual patrons and corporate partners to support a wide variety of contemporary art activity, and to present gifts to public collections. Prior to this, she devised education and curatorial professional development programmes for various institutions, including National Galleries of Scotland, Collective Gallery, Glasgow International, Scottish Arts Council, and Contemporary Art Society. As a researcher and educator, she taught for many years at the University of Edinburgh and at Edinburgh College of Art, where she also submitted her doctoral thesis Spectres of Minimalism, awarded in 2010. Gilane Tawadros is the Chief Executive of DACS. Established by artists for artists, DACS is a not-for-profit visual artists’ rights management organisation. Over a period of 30 years, DACS has paid over £75 million in royalties to artists and their estates. It acts as a trusted broker for 90,000 artists worldwide, and is committed to transforming the financial landscape for visual artists. In 2014, DACS launched the DACS Foundation, a new charitable arm aimed at making a significant difference in the lives of artists and artists’ estates and Artimage, a unique image resource of modern and contemporary art. She was the founding Director of the Institute of International Visual Arts (Iniva) in London, chaired by Professor Stuart Hall, which, over a decade, achieved an international reputation as a ground-breaking cultural agency at the leading edge of artistic and cultural debates nationally and internationally. She has curated numerous exhibitions and has written extensively on contemporary art. She is Vice-Chair of the Stuart Hall Foundation and serves on the Boards of Camden Arts Centre, Film and Video Umbrella, Matts Gallery and the Editorial Board of Whitechapel Art Gallery. Initiated in 2007, AEFI remains the only endeavor globally that focuses specifically on developing and disseminating knowledge in order to strengthen the charitable impact of the emerging artist-endowed foundation field. To realize this mission, AEFI undertakes innovative research and offers programs designed for key audiences whose members create, lead, and influence artist-endowed foundations. AEFI’s programs include: the annual Artist-Endowed Foundation Leadership Forum, an invitational convening of senior foundation leaders addressing key issues and innovations in policy and practice influencing the field; and the annual Seminar on Strategy for New Artist-Endowed Foundation Leaders, providing professional development to new leaders entering the field. Enrollment is underway currently for the 2016 Seminar, which will take place in New York City June 6-10 — learn more at aspeninstitute.org/aefi. Mark Waugh is currently Head of Research and Innovation at DACS. He is Chair of Spacex Gallery Exeter and Producer of the International Curators Forum. He has worked extensively as a curator and commissioner of contemporary art and as a consultant for a range of commercial and public clients. He has published nonfiction works including, We Love You: on Audiences and contributed to numerous publications on contemporary art and culture. He is author of cult novels, Come and Bubble Entendre. After studying law, philosophy and art history, Loretta Würtenberger earned her doctorate in international copyright and patent law at the Max Planck Institute, subsequently becoming the youngest ever judge at the Berlin district court. Würtenberger has been managing the estates of Hans Arp and Sophie Taeuber-Arp since 2009, and the estate of Keith Arnatt since 2012, together with Matthew Arnatt, and is founder of The Institute for Artists' Estates. 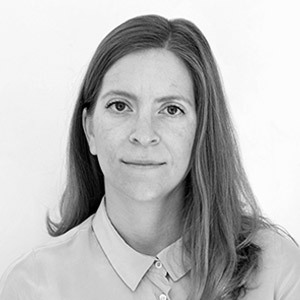 She has been a partner at Fine Art Partners since 2009 and is also the co-founder of Contemporary Art Alliance, a non-profit organisation supporting young contemporary artists in Berlin. Würtenberger has been lecturing regularly at universities across Europe for over fifteen years. She is the author of the book The Artist’s Estate: a Handbook for Artists, Executors, and Heirs, published in June 2016 by Hatje Cantz Verlag.